Reverend Stephanie Dowrick, PhD, is a leader and pioneer in interfaith, post-denominational spirituality, and inter-religious understanding. She has been teaching from a spiritually inclusive perspective for more than 25 years, and leading one of the world’s largest and most diverse spiritual communities, with its home at Sydney’s Pitt Street Uniting Church, since 2006. Dr Dowrick is also Australia’s most innovative and influential creator of books on personal and spiritual development. Through her writing and teaching she has, over a period of 25 years, supported a very wide range of readers to live life more generously, justly and with far greater choice, freedom and joy. 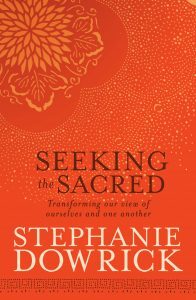 Stephanie Dowrick is that rare writer who combines psychological insight and training with a genuinely compassionate social analysis, as well as an authentically inclusive spiritual conviction inspired by the timeless wisdom traditions. Through her books, articles and committed use of social media, including Facebook, she reaches out to many thousands of people with an enriching message of increasing inner and outer wellbeing. Co-hosts the Universal Heart Book Club. 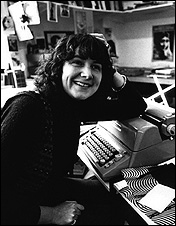 Her past achievements include founding the prestigious independent London publishing house * The Women’s Press * where she was Managing Director from 1977-1983, then later Chairperson. 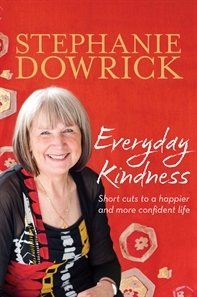 She was also Fiction Publisher for Allen & Unwin in the early 1990s; for ten years she was a regular contributor to “Life Matters” on ABC Radio National; for 10 years (until 2010) was “Inner Life” columnist for Good Weekend magazine; for 9 years (until 2012) was ambassador and well being presenter for Breast Cancer Network Australia. She has also been an Adjunct Fellow with the Writing & Society Research Group at the University of Western Sydney, and continues to be ambassador for International Women’s Development Agency (IWDA).